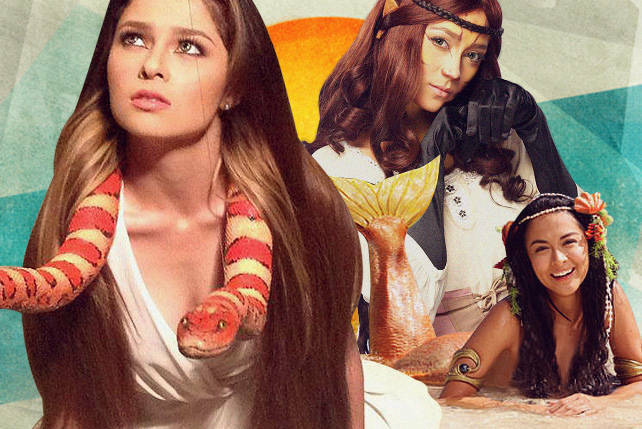 SPOT.ph blogger Paul Daza on Ben Stiller’s acting and directorial effort. Which skill did he need some improvement? Read on and find out. 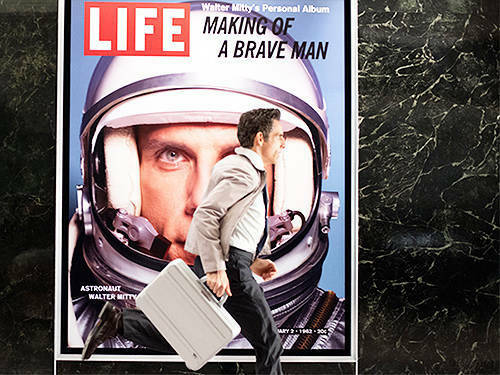 STORY: Walter Mitty (Ben Stiller) is a quiet, ordinary man who works at Life magazine's New York office as an archivist of its film negatives. To escape the boredom of his daily routine, Walter frequently "zones out" and fantasizes aboutdoing extraordinary things, such as saving dogs from burning buildings or simply mustering the courage to talk to Cheryl (Kristen Wiig), his crush at work. One day, however, it's announced that Life will cease publication, and that its last issue's cover will carry a photo by ace lensman Sean O'Connell (Sean Penn). Problem is, Walter seems to have misplaced the negative of the photo, jeopardizing his job. Can Walter's vivid fantasy life somehow save him from the reality of unemployment? Will he ever see Cheryl again, considering she'll probably be laid off as well? The unexpected story. If you're familiar with the James Thurber tale that this movie's based on, it's best not to expect any similarities between the two works. The only thing the film has in common with Thurber's short story is that they both have a guy named Walter Mitty who likes to daydream-that's it. That said, Ben Stiller's film (he's also the director) has quite a few narrative twists and turns in its 115 minutes. As an avid reader of Life, for instance, I was fascinated by the behind-the-scenes depictions (both real and fictionalized) about how the magazine is/was put together. I was also mesmerized by the manner by which Steve Conrad's screenplay was able to stitch a whimsical journey together from such uncommon elements as an imperiled publication, a used skateboard, an oversized piano, and a ghostly leopard. The towering cinematography. Because Life is practically a character unto itself in The Secret Life of Walter Mitty, you'd of course want the film's camerawork to be worthy of the magazine that set the standard for photojournalism. And indeed, director of photography Stuart Dryburgh does conjure quite a few striking images as Walter makes his way from USA to Greenland and beyond in his quest for the missing photo. Especially alluring are the top shots, taken from God's point-of-view, that dwarf Walter and his fellow New Yorkers as they push on amidst the ordered rigidity of Manhattan's skyscrapers. These urban jungle shots are vividly contrasted with beautiful portraits of Iceland's lonely and untamed naturescapes, and a sweeping, vertiginous helicopter shot of a snow-capped mountain in Afghanistan. The eclectic songs and music. When I first saw the trailer for Walter Mitty months ago, it was the surreal visuals coupled with the folksy, meditative music of the band Of Monsters and Men (from Iceland) that intrigued me. And indeed, one of the many pleasures I experienced from the film itself was the joy of hearing a diverse collection of songs and scores. Props to the film's musical director, Theodore Shapiro, for creating such a sonorously eclectic soundtrack, one that mirrors the many unique people and cultures that Mitty encounters in his globetrotting journey. Mitty's sudden transformation. 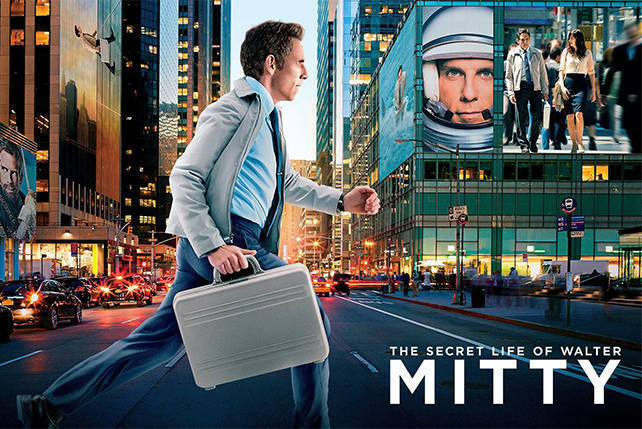 At the heart of the film is Walter Mitty's evolution from shy nobody to courageous somebody. Sadly, Stiller lacks the delicacy and subtlety to show the daydreamer's gradual acquisition of confidence and bravery as he moves from one obstacle to the next. When I saw Stiller as Mitty in the last scene, I was taken aback by how self-assured he suddenly was, relative to the previous sequence. It's almost like the Ben Stiller in The Secret Life of Walter Mitty's became the Ben Stiller from the last part of Meet The Parents! A more skilled actor would have taken the character from A to Z by passing through B, C, D, and so forth. What Stiller does here is take Mitty from point A in Act I, to point M in Act II, and then leapfrog to point Z in Act III! The Mad magazine humor. The movie is at its best when it depicts how suffocated Mitty is by his daily routine. These, in turn, artfully convey that his flights of fancy aren't just entertaining distractions, but lifesavers that he desperately needs to cling to every day. And so, a shot where Mitty is thinking about how he can introduce himself to his crush leads to a sequence where he rescues her three-legged pooch from a burning building; and a scene where he's being verbally abused by a superior prompts a fantasy where the two of them are duking it out like a superhero and a supervillain over a busy street in New York. In two instances, however, the film's delicate tone is ruined by the kind of sophomoric humor you'd encounter in a Mad magazine movie satire. The first one takes place during a riff on The Curious Case of Benjamin Button that makes no dramatic sense. The second has to do with the bribe that Mitty offers a bunch of scary-looking men to allow him to proceed on his quest. These juvenile jokes seem like remnants from earlier Ben Stiller comedies like There's Something About Mary and Meet The Fockers, and had no place in a film that was surely hoping to be an Oscar contender. The lesson learned? Mad magazine humor has no place in a movie that's about Life magazine. IN BRIEF: Beautiful to look at and wonderful to listen to, the enchanting spell cast by The Secret Life of Walter Mittyis sadly interrupted here and there by goofy humor and a less than satisfactory performance from Ben Stiller in the title role.